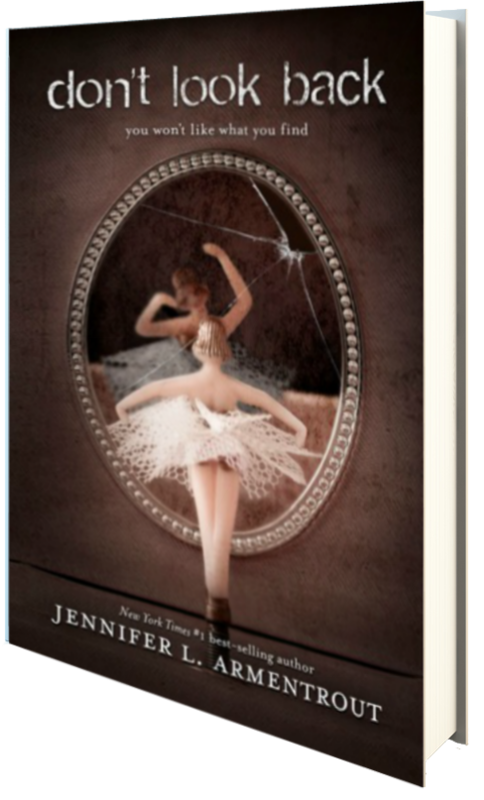 I am extremely excited that Jennifer L. Armentrout’s DON’T LOOK BACK releases today!! DON’T LOOK BACK is a young adult suspense being published by Disney Hyperion! From Goodreads: Samantha is a stranger in her own life. Until the night she disappeared with her best friend, Cassie, everyone said Sam had it all—popularity, wealth, and a dream boyfriend. Armentrout is quickly proving to be one of my “go-to” authors—everything I’ve read of hers over the past two months has been riveting, and I’ve really enjoyed them all, Don’t Look Back included. I loved the suspense of this novel. Though Amnesia stories seems to be cropping up more and more in the YA genre, I found Don’t Look Back to be different enough that it really sparked my interest… plus, Armentrout is just an all around great writer. I could feel Sam’s fear, disdain, and confusion as I read, and the fact that I was able to connect with her made it all the more fun. If you’re a fan of suspense novels, if you’ve enjoyed any novels that deal with amnesia stories lately, then I think you’ll really love Don’t Look Back. It has just the right amount of creepy and it definitely keeps you guessing, especially in terms of whether or not Sam is truly insane. Five stars. I received a free ARC of this novel from Disney-Hyperion during NCTE 2013. This awesome novel releases today!! I didn’t recognize the name on the street sign. Nothing about the rural road looked familiar or friendly. Tall, imposing trees and overgrown weeds choked the front of the dilapidated home. Windows were boarded up. There was a gaping hole where the front door had been. I shivered, wanting to be far away from here…wherever here was. I stopped and looked down. Chipped pink nail polish peeked through the dirt…and blood. Mud caked the legs of my pants, leaving the hems stiff. It made sense, seeing as how I wasn’t wearing any shoes, but the blood…I didn’t understand why there was blood staining the knees of my jeans. My vision clouded and dulled, as if a gray film had been dropped over my eyes. As I stared at the weathered asphalt under my feet, large and smooth rocks replaced the tiny stones. Something dark and oily seeped over the rocks, slipping through the cracks. Hands trembling, I raised them. They were also covered with dirt and scratches. My nails were broken, bloodied. A silver ring wrapped, encased in soil, around my thumb. Air froze in my chest as my gaze crawled over my arms. The sleeves of my sweater were torn, revealing pale flesh covered in bruises and gashes. My legs started to shake as I swayed forward. I tried to remember how this had happened, but my head was empty—a black void where nothing existed. The driver’s door opened, and a deputy stepped out. He said something into the radio on his shoulder before he looked at me. “Miss, it’s okay. We’ll get you taken care of.” He reached out, lightly taking hold of my arm. “We’ll get this sorted.” Deputy Rhode led me around the back of his cruiser. I didn’t want to sit behind the Plexiglas, because I knew that wasn’t good. Only bad people sat behind the glass in police cruisers. I wanted to object, but before I could say anything, he settled me into the seat and wrapped a coarse blanket around my shoulders. Before he locked me in the bad part of the car, he knelt and smiled reassuringly.